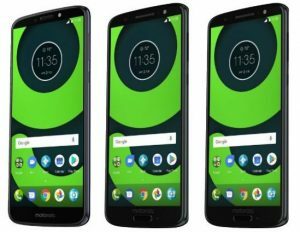 UK's Cheapest Moto G6, Moto G6 Plus & Moto G6 Play: Where To Buy? The Moto G is available to buy from £149 unlocked. We compare the UK’s cheapest deals for the Moto G6, Moto G6 Plus, Moto G6 Play and Moto G5S. If you’re looking for an affordable mid-range smartphone, my current recommendation is to buy a handset from the Moto G family. With a solid design and fantastic specifications, the Moto G handsets are powerful, yet budget-friendly. Priced at just a fraction of the cost of an iPhone XS or Galaxy S9, you can buy a Moto G handset from as little as £149 unlocked. There are three handsets to choose from in the latest generation of the Moto G family. They are the Moto G6, the Moto G6 Plus and the Moto G6 Play. The handsets have impressive edge-to-edge screens, TurboPower charging and 64-bit octa-core processors. On the top-range handset, the Moto G6 Plus, you’ll also get an intelligent camera with Dual Autofocus Pixel and lots of other clever features. For a cheaper alternative to the Moto G6, it’s also still possible to buy last year’s Moto G5S. You’ll get a slightly smaller screen, but this will come in a more compact aluminium form factor. In this article, we’ll look at the best value deals for buying a Moto G smartphone in the UK. We’ll start by looking at the best deals for an unlocked Moto G handset. We’ll then continue on to compare the best value deals on Pay As You Go and on a Pay Monthly contract. The simplest way to buy a new Moto G is to get it SIM-free from an electronics retailer. As you’re buying a handset that’s already unlocked, you’ll be able to use it on the mobile network of your choice. You can order a free Pay As You Go SIM card to use with the handset or you can take advantage of a low-cost SIM-only deal. Alternatively, you can also stay on your current tariff (just put your existing SIM card into the new Moto G). For most people, we’d recommend buying one of the sixth-generation handsets (typically, either the Moto G6 or Moto G6 Plus). The improvements in performance and design are significant, especially with the edge-to-edge screen and the dual rear-facing cameras. 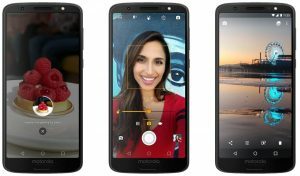 Generally, the Moto G6 is the more popular choice unless you need the larger screen and extra storage of the Moto G6 Plus. If you’d like to buy the Moto G6 with 32GB of storage and 3GB of RAM, John Lewis & Partners is our recommended retailer. For £199.99, you’ll get an exclusive version of the Moto G6 with added dual-SIM functionality. This gives you more flexibility compared to the single-SIM version, and potentially allows you to save money (e.g. you can have a secondary SIM card for when you travel abroad). You’ll also benefit from a 2-year guarantee, and the Never Knowingly Undersold promise. If you’d like the Moto G6 Plus with 64GB of storage and 4GB of RAM, this is available for £269 at the Carphone Warehouse. You’ll get a faster processor and more storage, along with a larger 5.9-inch screen. For something in between the two devices, Amazon has an exclusive version of the Moto G6 with 64GB of storage. Costing £219, it’s priced somewhere in between the Moto G6 and the Moto G6 Plus. It gives you the larger amount of storage normally found on the Moto G6 Plus, but doesn’t contain any of the other upgraded specifications. For a lower cost alternative to both devices, you can also buy the cheaper Moto G6 Play. This is available for £149 SIM-free and unlocked at various retailers including John Lewis & Partners and the Carphone Warehouse. 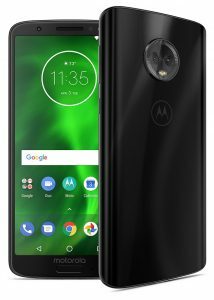 [ds] John Lewis sells an exclusive version of the Moto G6, with 32GB of storage and dual-SIM functionality. This gives you a lot more flexibility (e.g. using two SIM-cards when travelling abroad). Other retailers sell the single-SIM version of the Moto G6 with 32GB of storage. † Amazon also offers a version of the Moto G6 with 64GB of storage and dual-SIM functionality. This is available for £219 SIM-free and unlocked. As well as buying a Moto G smartphone, you may also wish to buy a micro-SD card. This allows you to add up to 128GB of additional storage to your handset. You can buy a 32GB micro-SD card for around £10 or a 128GB micro-SD card for about £30. If you’d like the Moto G6 Play, you can save around £10 on the handset by buying it on Pay As You Go. However, you’ll need to make a minimum initial top-up of £10 or more so this is only really worthwhile if you actually use the SIM card. At present, giffgaff is our recommended network for buying the Moto G6 Play on Pay As You Go. You can get the Moto G6 Play for £169 (this is £10 less than if you were to buy it on a SIM-free basis). The handset will come with a giffgaff SIM card where a £10 monthly top-up will give you 3GB of internet, unlimited minutes and unlimited texts. The handset will also be provided to you unlocked. You can also buy the Moto G6 Play on Pay As You Go from O2 and Tesco Mobile. O2 will allow you to unlock your handset for free at any time whereas Tesco Mobile will charge a fee of £10 if you unlock within the first 12 months of ownership. The Moto G6 is also available to buy from giffgaff, but this is more expensive than buying the handset on a SIM-free basis. The Moto G6 Plus is not currently available on any Pay As You Go network. However, you can use any model of the Moto G on any Pay As You Go network by buying the handset SIM-free and then ordering a free Pay As You Go SIM card. 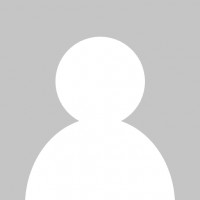 If you’re looking to get a Moto G handset on a 24-month contract, you can currently choose from getting the Moto G6 on contract from giffgaff or Vodafone, or getting the Moto G6 Play on contract from Tesco Mobile. If you’d like to use any other mobile network, you’ll instead need to buy the handset SIM-free and then choose a SIM-only deal. giffgaff offers the Moto G6 on a 24-month repayment plan, with one of their rolling goodybag plans. Meanwhile, Vodafone offers the Moto G6 on a range of 24-month contracts. You can choose from three types of price plan: Essentials (the cheapest & most basic tariff), Red Extra (with more data and unlimited minutes) or Red Entertainment (with the largest data allowances, and a 24-month subscription to Spotify, Sky Sports Mobile TV or Now TV). The Moto G6 Play, Moto G6 and Moto G6 Plus. This year, Motorola is offering a choice of three handsets as part of the Moto G6 line-up. Generally speaking, the Moto G6 will be the best handset for most users, offering a great combination of value and performance. For better photography, more storage and a larger 5.9-inch screen, the Moto G6 Plus is a good upgrade costing around £70 more. You’ll get a Snapdragon 630 processor (2.2GHz octa-core) on the Moto G6 Plus as opposed to the Snapdragon 450 processor (1.8GHz octa-core) found on the regular Moto G6. You’ll also get more storage and RAM as standard. The Moto G6 Play is a lower-cost alternative to both handsets, focussing on maximum battery life, at the cost of a lower-resolution screen and a more basic camera. 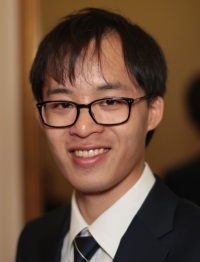 There are also a number of other cut-down features such as having micro-USB charging (as opposed to USB-C), a single rear-facing camera, a polymer-based design and a rear-mounted fingerprint sensor. 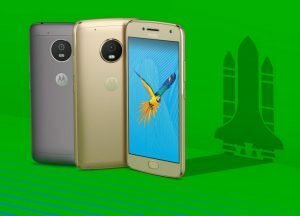 The Moto G5 was released in 2017, and is a lower-cost alternative to the Moto G6. The Moto G6 was released in May 2017, and is Motorola’s newest mid-range smartphone. The predecessors to the Moto G6 were the Moto G5 (released in March 2017) and the Moto G5S (released in September 2017). The Moto G6 has a taller edge-to-edge display. The Full HD+ screen on the Moto G6 has a 18:9 aspect ratio, meaning you’re able to see more things without the phone becoming wider and more difficult to hold. The Moto G6 has an improved camera. On the back of the handset, you’ll get dual cameras (one at 12 megapixels and the other at 5 megapixels). This compares to the Moto G5 which had a single 13 megapixel camera. The Moto G6 has a more premium glass-based design. Whereas the Moto G5 was constructed from an aluminium unibody, the Moto G6 has a new glass-based design with a 3D-contoured back. The Moto G6 has a faster processor and more storage. You’ll get a Snapdragon 450 processor on the Moto G6 and a Snapdragon 630 processor on the Moto G6 Plus. This is more powerful than the processors found on last year’s Moto G5 and Moto G5S. You’ll also get 32GB of storage as standard on the Moto G6 and 64GB on the Moto G6 Plus. The Moto G6 has faster charging. You’ll get USB-C charging on the Moto G6 and Moto G6 Plus, with Motorola’s TurboPower technology. Last year’s Moto G5 used micro-USB charging technology. The Moto G is Motorola’s family of mid-range Android smartphones. The Moto G handsets are notable for having quality specifications at only a fraction of the price of rival flagship smartphones. For instance, the Moto G6 has dual-camera technology, fingerprint unlocking, USB-C fast charging and a Full HD+ screen. Many of these specifications can match the iPhone 8 Plus, a handset that will typically cost you more than three times as much. Other highlights of the Moto G6 and Moto G6 Plus include the 64-bit Snapdragon octa-core processor and Android 8.0 Oreo. For more information about the Moto G family, please see the official Motorola website. We'd love to hear your thoughts and any questions you may have. So far, we've received 354 comments from readers. You can add your own comment here. Hi Ken, The dual SIM option is interesting. Does the battery run down more quickly if two SIM cards are installed? Yes, using the dual-SIM option will consume a little bit more battery. This is because your handset needs to connect to both mobile networks and to remain on “standby” on both networks. Saying that, I think the increase is usually fairly negligible. Often, only around 2-3% of your phone’s power consumption is caused by this (though it could be significantly higher if you’re in an area with poor coverage). The majority of power consumption actually comes from other things such as transmitting data, having the screen on, etc. Personally, I don’t notice very much of a difference when using the dual-SIM option (and certainly, nowhere near enough of a difference for me to recommend against using it). Thank you Ken, I’ll definitely consider a dual SIM phone next time. Looking to replace the wifes old S3 (and maybe even my HTC M8) and wondered how the G6 or G5s Plus compared to buying a second hand high end phone from a few years ago such as Samsung S7 or HTC 10? Thanks for your comment – this is a very good question! Often, you’ll actually get some pretty comparable specifications comparing a flagship handset from 2 years ago, to a newer mid-range handset available today. One of the things that often gets a phone to it’s end-of-life is when the battery becomes much poorer – this is something to bear in mind (especially if you’re buying a second-hand version of the handset). If you’re buying a brand new & unused version of that older handset, this is less of a worry as the battery should still close to full capacity. With the older handset, you may also find you’re using a much older version of the Android software. This means you could be missing some of the latest features & apps (and importantly, maybe also the latest security updates depending on how good the manufacturer is at applying updates to their device). This might be balanced somewhat by some of the higher specifications you get on the higher-end device (e.g. in terms of material, display, etc) so it’s really something you’ll need to weigh up for yourself with regards to the things you’re looking for. Must admit that the battery life was my main concern for the 2nd hand phone now that they all seem to be non-removable & is one of the reasons I started looking at Moto G mid range. I hadn’t thought of the security issues associated with using earlier android versions. How do the different processors compare? Is it down to speed & quad/octa core or are the higher end processors running a much better architecture than the snapdragon? Unfortunately, the question about different processors is probably going a little bit beyond my realm of knowledge! With Snapdragon, obviously the 8xx processors are better than 6xx, the 6xx processors are better than 4xx, etc. How the different generations in each line compare with each other, I can’t really say (though Anandtech has lots of great info on this topic, albeit very technical). A question not a comment. I’ve had a Moto E since 2014 but the sound has gone and I’ve cracked the screen. I’m looking to up grade to a 64gb phone (probably another Moto) because I’m sick of notifications telling me it can’t update my apps due to lack of storage. I’ve disabled and uninstalled everything I can. I have only 4 apps I have downloaded myself. I bought a 32kb memory card thinking I could move some apps to it but only 2 would move. I don’t have lots of photos or any music so most of the card is empty . So my question is which phone should I get ? i don’t want to spend more than £300. Thanks for your comment. I’m afraid this will simply come down to personal preference! Obviously, the Moto G6 Plus is the best handset in this family at the moment, costing about £269. However, if you don’t need the additional features of the G6 Plus, the Moto G6 is a very good handset in my opinion costing around £220. UK's Cheapest Moto E4 & Moto E4 Plus: Where To Buy?